The proposed construction of multistory apartment in Fourth Avenue has gathered many criticisms as it was allegedly about to change the character of the locality. The proposal reportedly blindsided fourth Avenue businesses and nearby residents. 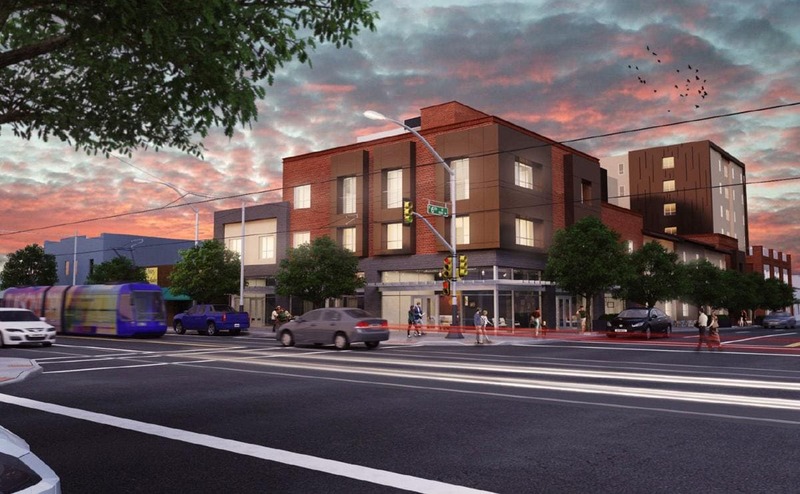 But, as per the rule, Memphis, Tennessee-based developer Education Realty Trust (EdR) does not need the approval of the Tucson City Council, so the residents can make noise about the project but have little leverage to do anything about the development, dubbed The Union on Sixth. It has been a year of the conflict. Things have changed for better during this year. Recently, an alliance of area businesses, non-profits and several nearby neighborhood associations known as the Historic Fourth Avenue Coalition have worked out a binding, legal agreement with the new owners of the proposed development, Greystar Real Estate Partners. Greystar absorbed EdR last year, part of a $4.6 billion acquisition deal. The “community benefits agreement” gives preferences to locally owned businesses over national chains. National large chains need not apply — for ground-floor commercial spaces at The Union as well as a six-figure sum specifically set aside for street, sidewalk and parking improvements along Fourth Avenue. The agreement between the developer and residents is entirely voluntary. And an agreement of this kind has happened for the first time in the State, as per the organizers behind the Historic Fourth Avenue Coalition. However, local developers said that smaller agreements with a single neighborhood group or business coalition are relatively routine. Sitting in a coffee shop about a block away from the proposed development site, DeeDee Koenen, Michael Peel, and Shannon Riggs agreed on the first reaction to the proposed development wasn’t right. Her family has been on a property on Fourth Avenue for decades, and she hoped the developers of the former Flycatcher bar would adopt some adaptive reuse for the property rather than tearing it down. But she said that residents were not against any new developments; they just wanted projects that helped Fourth Avenue grow. Calls to the Public at council meetings and campaigns on Facebook garnered media attention, and in the meantime, Koenen and Riggs realized that they needed a unified and collective voice in their talks with the developer. Some neighborhood groups like the West University Neighborhood Association and the Iron Horse Neighborhood Association came in their support after other informal agreements with developers weren’t honored in the past. Rory Juneman, an attorney representing Greystar, said the developer aims towards working with the community. And to make the tie with the community stronger, the company will hire local businesses; Greystar has agreed to cap the monthly rent to make it more affordable for small Tucson businesses. The agreement is scheduled to be effective for at least eight years. It is tied to the lifespan of an unrelated tax incentive offered by the city of Tucson — although the deal is expected to contain language that would allow for additional time extensions. After a self-imposed crash course in city development rules and procedures last summer, Riggs and Koenen have been pushing the City to tweak its zoning codes. For example, the city now offers developers incentives for open space, but those requirements are open to interpretation. Riggs suggestions include a small park on the edge of the property, offers a huge community benefit over a courtyard that is only available to those living in the development. Koenen contacted Peel, the Southern Arizona director for Local First Arizona, for help with the developers early in their talks with EdR and later, Greystar. The non-profit represents locally owned small businesses. As per Peel, the community benefits agreement is beneficial not only to the Fourth Avenue community but to other Tucson neighborhood groups in discussions with developers as well. Riggs also predicted that a number of new developments would likely spring up along Fourth and Sixth Avenues. Councilman Steve Kozachik, whose ward includes Fourth Avenue, said his support for tax incentives for Greystar was partial if not fully based on the community benefits agreement. Kozachik who is often skeptic of the necessity of such incentives said he was encouraged that Greystar was all set to sign an agreement facilitating a multiyear agreement with the surrounding neighborhood and businesses.